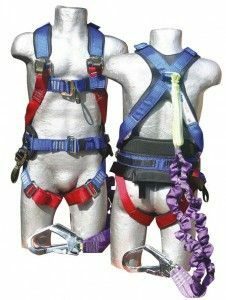 Safety Harness are the ideal solution for any personal fall arrest system. They are designed with padded technology that enables air to circulate, reducing moist entrapment. 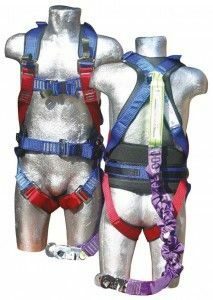 Full Body Harness with dorsal attachment complete with self-rescue and battery strap, kidney support and padded waist, legs and shoulders. Double lanyard complete with shock absorber and snap hooks. Double lanyard complete with shock absorber and scaffolding hooks. 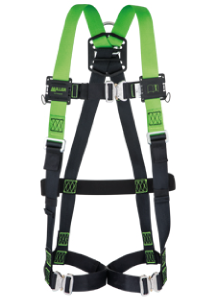 Miller H Design 1pt Harness with mating buckles. Mating buckles on chest & leg straps. 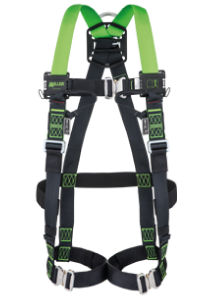 Miller H Design 2pt Harness with webbing loops & mating buckles. Made of highly resistant and durable 23mm polyester webbing for increased durability. 1.8 webbing shock absorbing lanyard. The lanyard offers a better comfort in case of a fall. 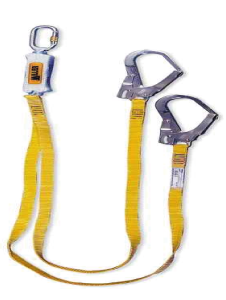 Small size tear off dissipating element, which reduces the weight and makes the lanyard easier to handle and carry. 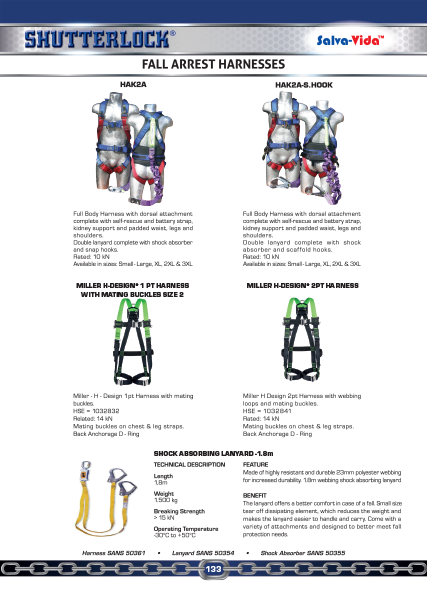 Come with a variety of attachments and designed to better meet fall protection needs.